Debbie Harris, A.S.E.A, was born in Warwickshire in 1973, and having moved extensively is now settled in Dorset with her family, horses and dogs. Her working methods vary dramatically from highly detailed dog portraits to 4ft squared loose canvasses depicting monochrome horses and hounds. 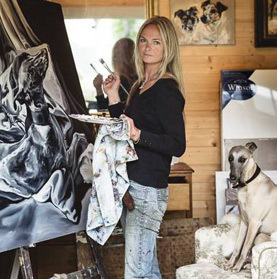 Hounds are her beloved subjects, and over the years Debbie has donated paintings to the Wye College Beagles, Cirencester College and the Countryside Alliance as a small sign of her gratitude to these noble and inspirational creatures. Debbie shows annually at the Society of Equestrian Artists exhibition in London and at Badminton and Burghley Horse Trials. 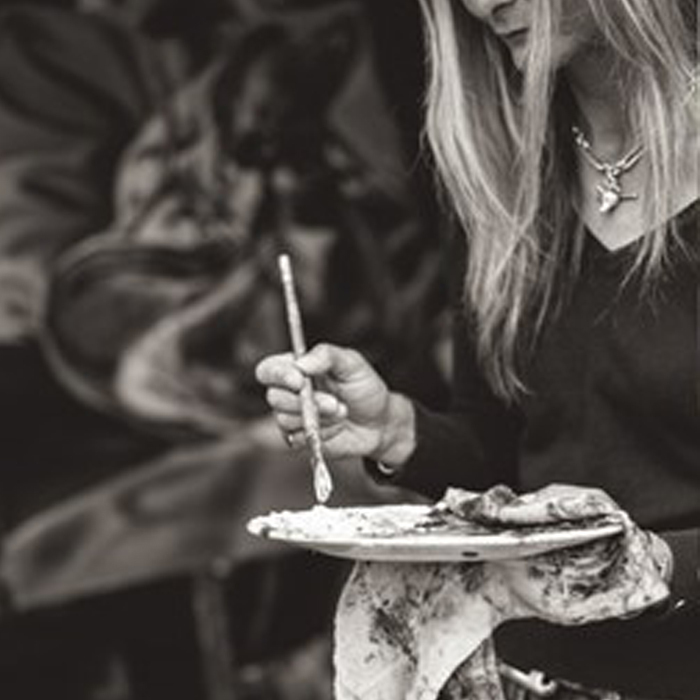 She has had solo exhibitions in Dorset, the Cotswolds and in Hertfordshire and has exhibited at the French Game Fair in Chambord, France. If you would be interested in commissioning a painting, please do not hesitate to contact Debbie direct. It is important to note that Debbie signs all of her work with her middle name which is “JOY”, as this can leave to confusion.